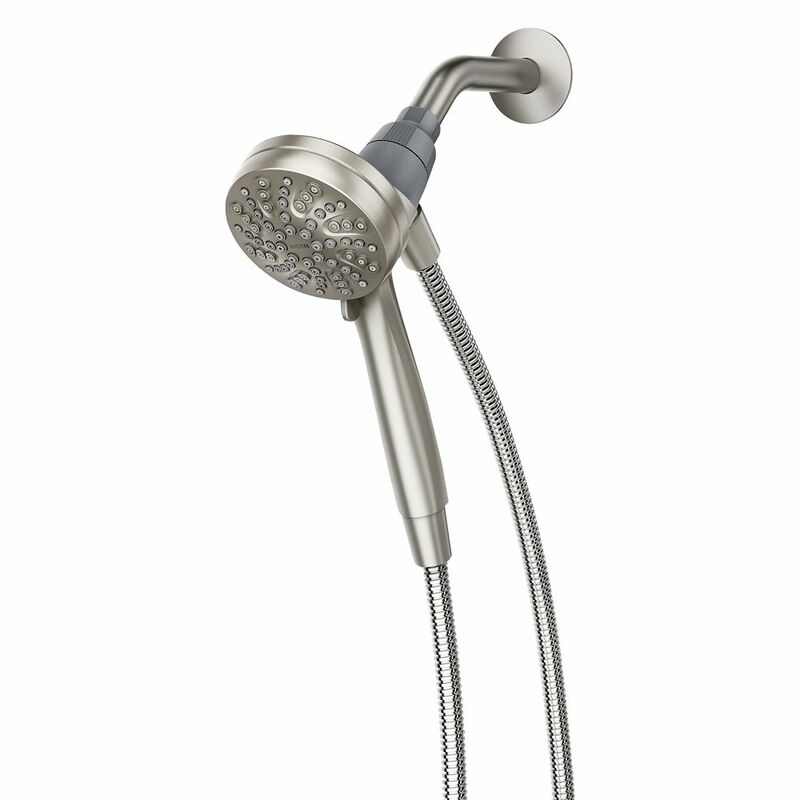 With this top-notch showerhead hand shower combo from Delta, you can expect an amazing head-to-toe clean every time. Its 2-in-1 design makes it easy to rinse and clean every inch of your body. With a 9-inch D, 5.35-inch H, and 9.50-inch W size, this showerhead takes up little space while giving you plenty of water. Engage Spot Resist Brushed Nickel Eco-Performance Handheld Shower Inspired by patterns found in nature, it offers a distinctive design which is at home in any transitional dicor. Gracious and uncomplicated style features give the Engage collection an ageless yet fashion-forward presence. Tailored yet relaxed, the Engage collection is an exercise in design balance. This lustrous collection works seamlessly with today's lifestyles.